Brute force is an hacking method that involves using an automated system to guess the password to your web server or services. 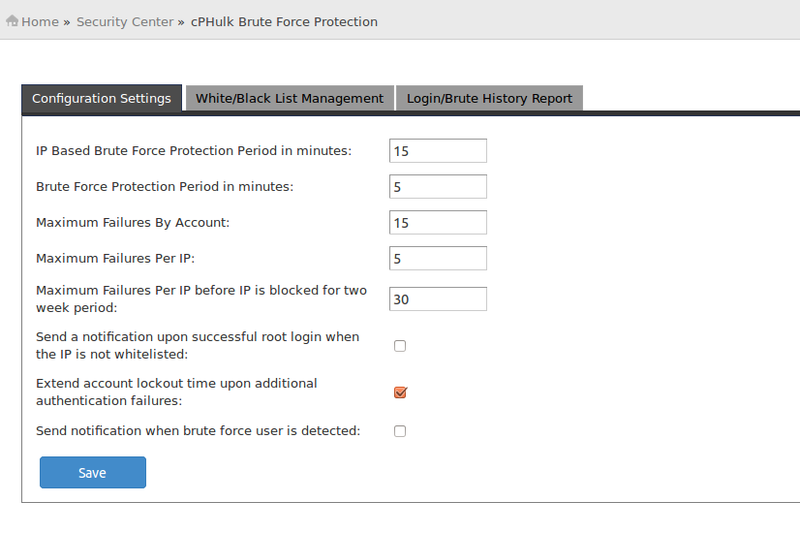 cPHulk provides a security protection against Brute Force attacks for FTP, cPanel/WHM and SSH. Simply click on Enable button at the top. You can modify the options in the Configuration Settings tab to adjust how cPHulk will handle blocking IPs. 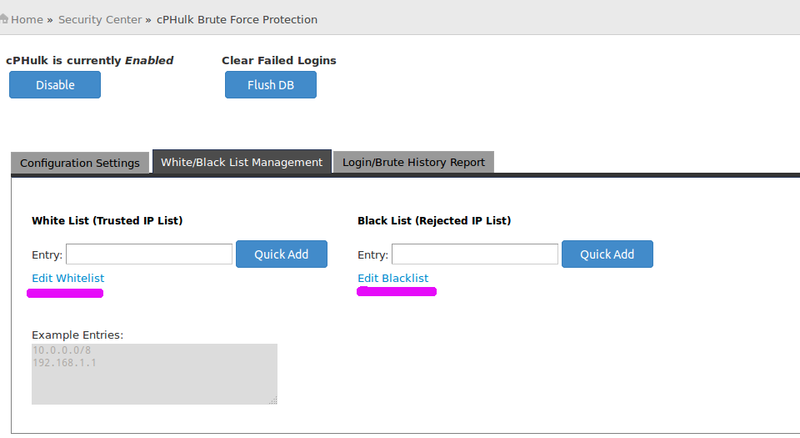 Select the White/Black List Management tab. Enter the IP address in the Entry text box under the appropriate list. Click Quick Add to the right of the entry.